Each De Bethune watch places innovation at the centre of the creative process, all the while perpetuating the spirit of the Enlightenment's great master watchmakers. 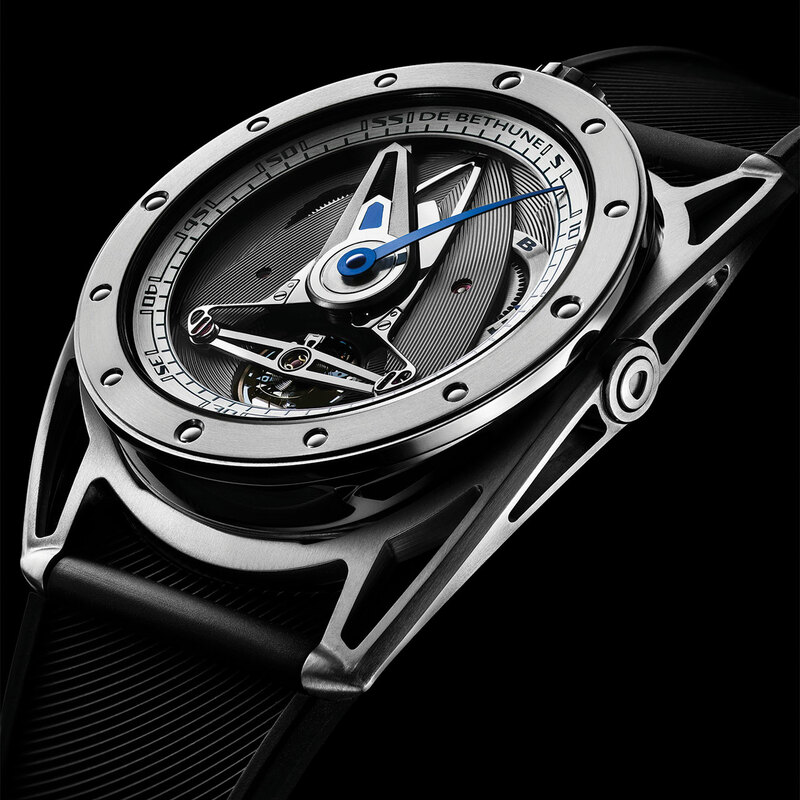 The new DB28 GS upholds this same philosophy, with four patented inventions inside its calibre. The self-regulating twin barrel delivers six days of power reserve. The balance spring terminal curve, and the annular balance in silicon and white gold, with its lighter weight and maximum inertia, are breakthroughs in watchmaking technology that guarantee the movement's performance and precision. A triple pare-chute shock-absorber system protects the movement by a titanium bridge mounted on springs. The DB28 GS also stands out for its remarkable wearer comfort, a combination of lightweight titanium, the crown at 12 o'clock, and the patented floating lugs which adapt to suit the thickness and movements of the wrist.